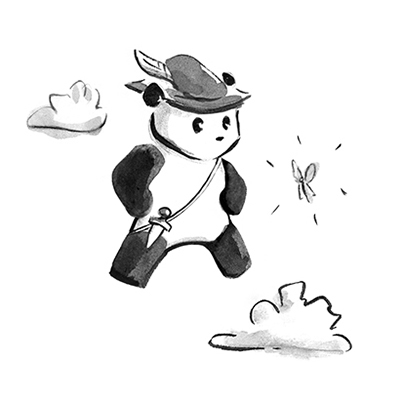 In the past couple months, new Pandagram characters have been spotted intermittently around central Jersey and eastern Pennsylvania (at conventions). Now it’s time for their website debut! This Friday through Sunday I’ll table at PhilCon, the world’s first and longest-running conference on science fiction & fantasy and hosted by the Philadelphia Science Fiction Society. This one should actually take an hour to get there as predicted. I will be grateful if it does–and very grateful if business is better. 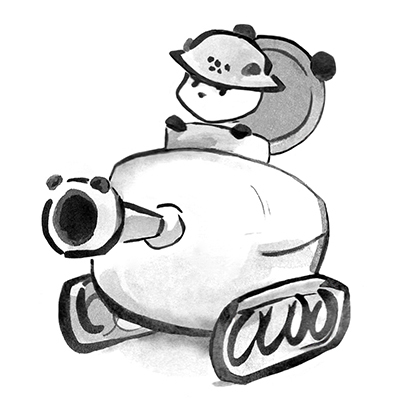 Now, onto the pandas! They will be in the internationally themed third set of Pandagram cards. 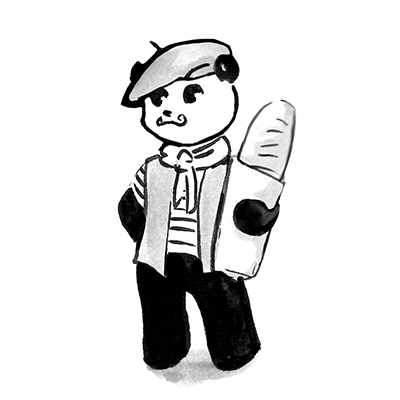 First, we have Monsieur Panda avec le pain (“with bread” in French). 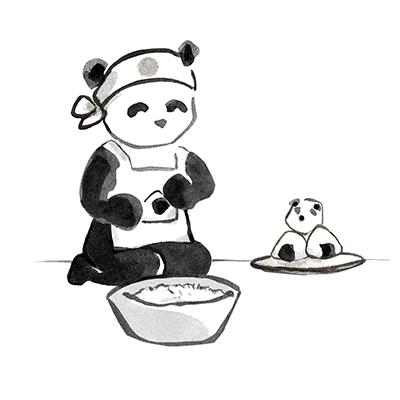 Second is Japanda, who is making onigiri (Japanese rice balls). Then there is Pandzer (Germany) and Peter Panda (England). The fifth Pandagram in the set will represent China: Pangrams. The panda will be completing a tangram puzzle. 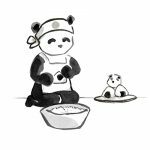 Pandagrams’ reputation as black and white and fun/pun all over shall surely be upheld.